While it can be easy to invest in the market, it’s often harder to invest in ourselves, in our skills, interests, and passions. It’s easy to say “The best investment you can make is in yourself”, it can be a little messier to do. Our goal at Zoseco is to create an environment where it is easier and more fruitful to invest in yourself. 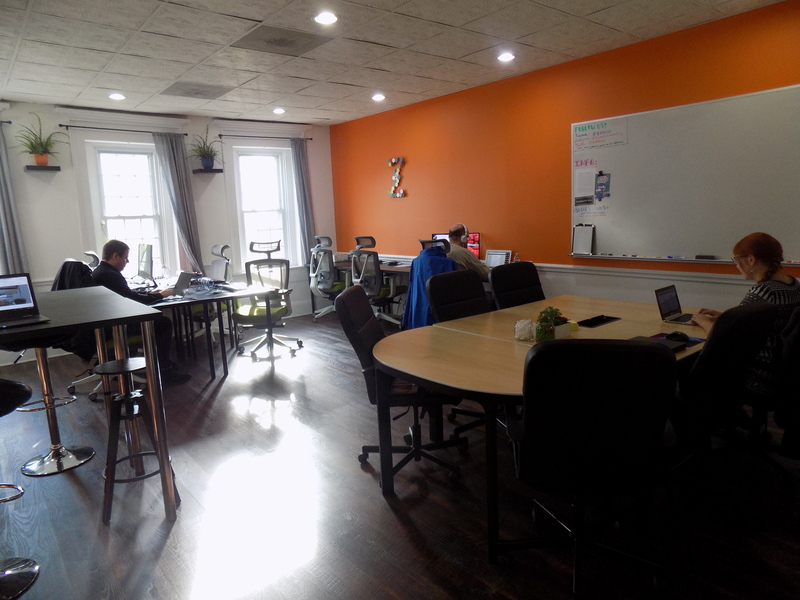 Coworking spaces are becoming increasingly popular, sprouting up across the country in hubs just like Valparaiso. According to a recent survey, increased productivity, more fun, and revenue increases are among some of the bonuses you reap when you plant your career in a coworking space. The environment we live and work in plays a huge part in our successes and happiness, which is why Zoseco strives to be the perfect fit for you. To us, the best place possible doesn’t just mean a physical space, but it’s also our social environment. We’re here to be more than a great office. Need an example? If someone is facing a challenge, sure you can Google it, and sometimes that works, but often, it is faster to ask a friend who has been through something similar. This is one way our shared office can help you be more productive and have more fun while you’re doing it. Finally, to be the best place possible, there’s the whole concept of overhead. Despite as much value as we can create for members, some parts of a coworking membership are still considered overhead, namely the space rental and access. When compared to a traditional office, we’re usually about 1/5th the total cost, but we still strive to find ways to lower that overhead burden, so you can focus more energy and resources, on your own customers, your work, your team, and yourself. The photo below is of our open work side. There’s great natural light coming in from the south wall. Designed for productivity, high energy, and creative thinking, this room is perfect for getting things done. A smaller conference room, kitchenette, and secret hideout is close by. This view faces our reserved desk area. The chairs are our most recent upgrade and are super-comfortable and adjustable. We strive to make the space as productive as possible, and this was our latest step. The six desks around the perimeter are all reserveable as part of the professional membership. Hi, I’m Eric and I started Zoseco Coworking after moving back to Valpo in 2014 because at the time, even though I love our local, independent coffee shops in town, there still wasn’t a good place to consistently work at any hour, either by myself or with teammates. Thanks to a ton of help from family, friends and our great Valparaiso business community, now there is. Why the name Zoseco? It was an inside joke with some of my buddies as a play on words from my last name Zosso, and a company I think is super-customer-focused, Costco. As for pronunciation, if someone says anything close, it’s a win! Folks on the inside though, we say it like “Zoe’s Co”, since my last name is pronounced “Zo-so”. If you ever have any questions or concerns about anything with the space, please contact me directly. I look forward to meeting and seeing where Zoseco can help you in your goals.